EAW020182 ENGLAND (1948). Union Street, Wellington Bridge and parts of the Western Docks, Dover, 1948. This image has been produced from a print. 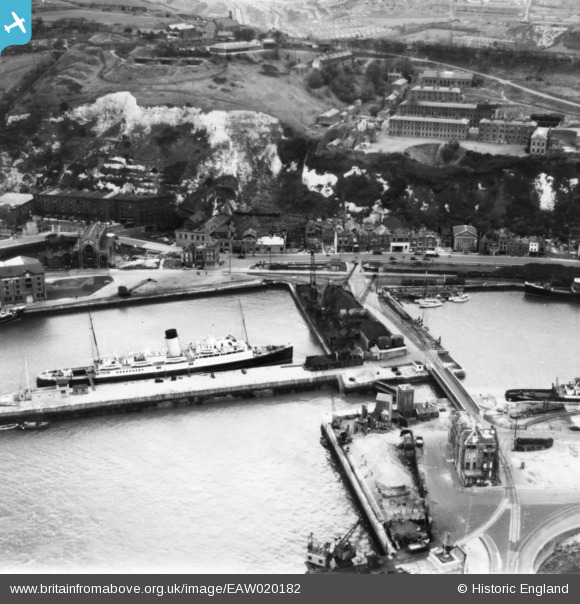 Title [EAW020182] Union Street, Wellington Bridge and parts of the Western Docks, Dover, 1948. This image has been produced from a print.